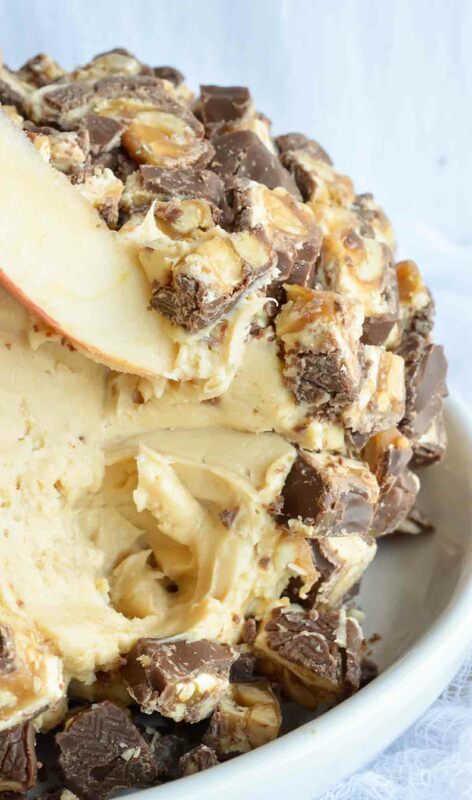 This Sweet Snickers Cheese Ball Recipe is perfect for your game day party! This dessert dip will be a crowd favorite! I may not be the biggest football fan . . . but I am a HUGE fan of game day food! 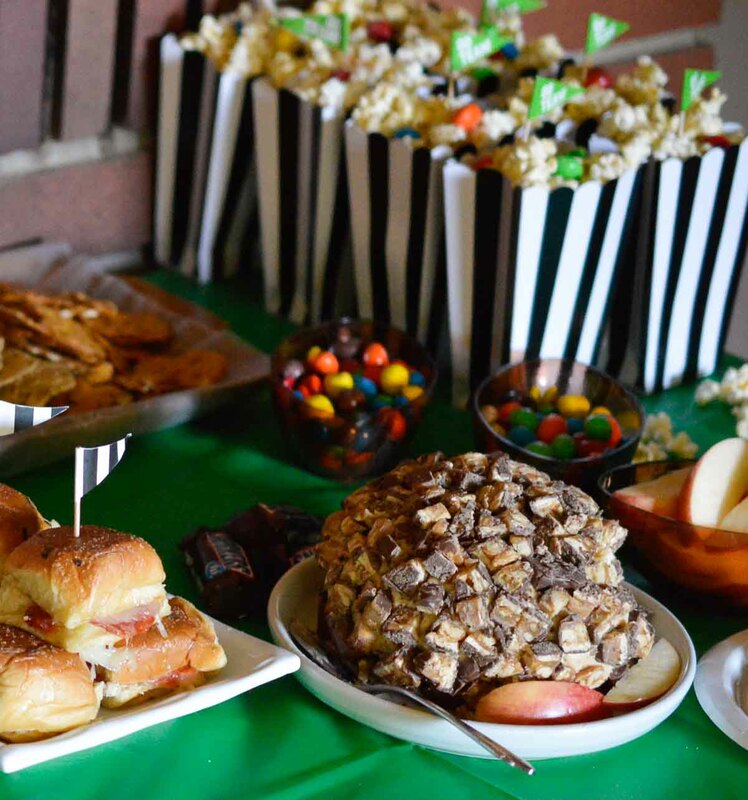 Snacks, dips, sweets and appetizers made to feed a crowd. That is kinda my thing. 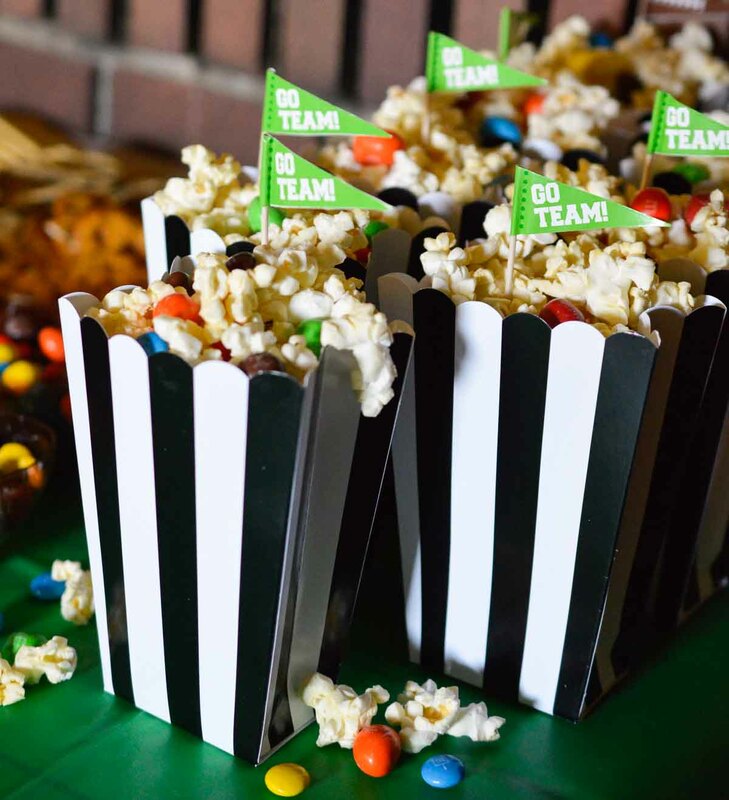 If you want to make your game day crowd happy, set out their favorite candy to snack on while they cheer for their favorite team! 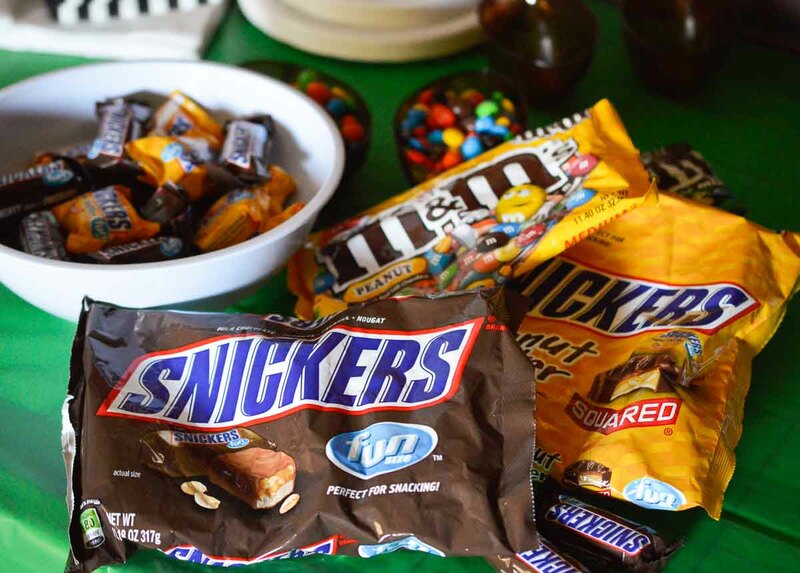 Fun Size SNICKERS, Peanut M&M’s and Fun Size Peanut Butter SNICKERS are my go-to candy snacks. Have you tried the Peanut Butter SNICKERS yet? Do It. Do It Now! Go to Targetyoursweettooth.com and check out the Target Cartwheel Collection Offer for Super Snacks. 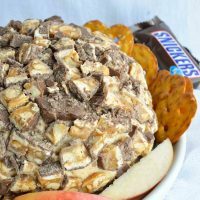 I used Fun Size SNICKERS to make this ultra-delicious Sweet Snickers Cheese Ball. I think cheese balls are so great for parties because they look festive yet are very simple to make. This sweet cheese ball is fantastic with salty pretzels or apple slices. It was a big hit with my hungry crowd! Mix cream cheese, marshmallow fluff, sugar and peanut butter until smooth. Lay 2 long strips of plastic wrap in a criss cross pattern. Transfer cream cheese mixture to center of plastic wrap. Bring up all sides of plastic wrap, cover, tighten and gently form into a ball shape. Refrigerate 4+ hours or until firm. 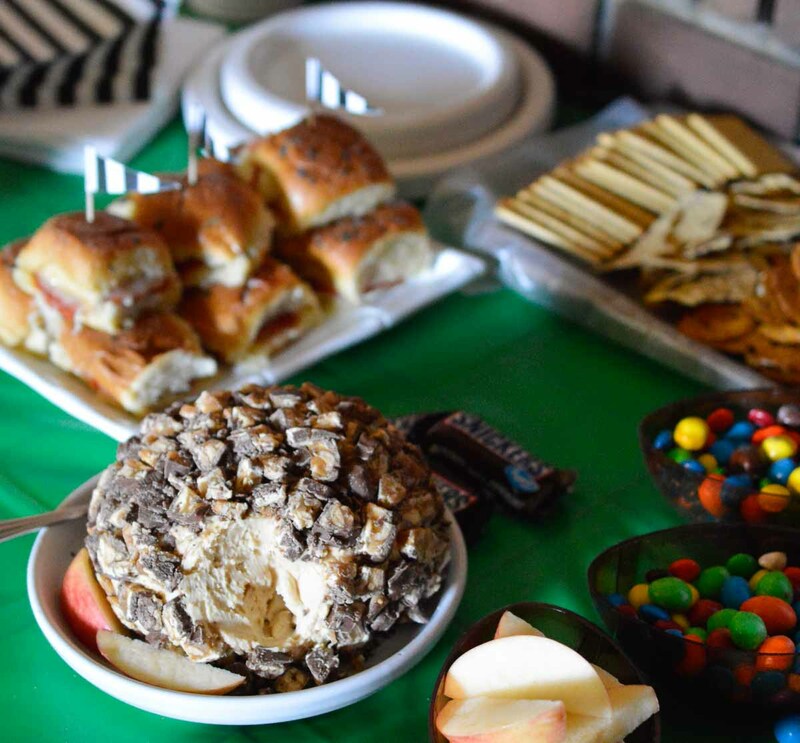 Unwrap cheese ball, press chopped SNICKERS onto the bottom and place onto a platter. Gently press remaining SNICKERS onto cheese ball until completely covered. Refrigerate until served. Serve with crackers, pretzels and sliced apples. 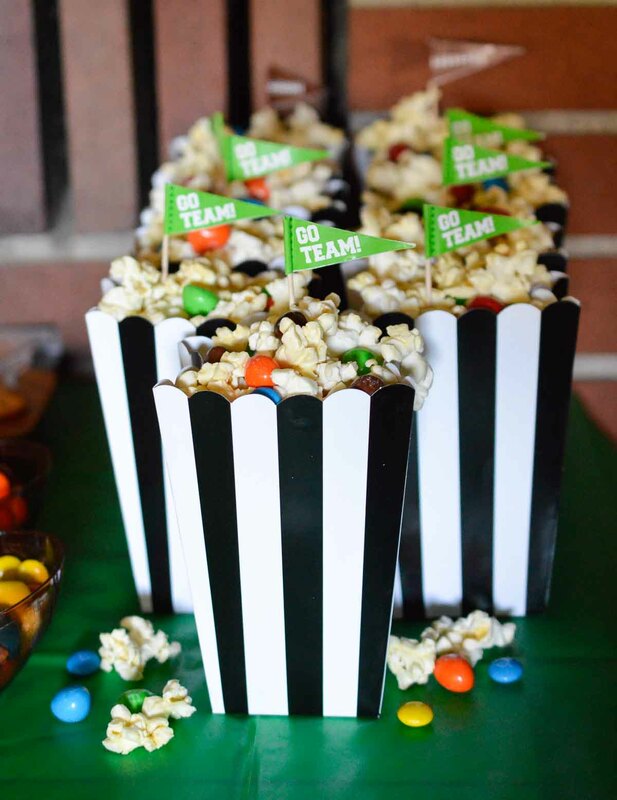 This Peanut M&M Popcorn is a kid favorite, especially in these super fun referee snack bags. I first pre-portioned the M&M Popcorn out and displayed on the table. Once those were gone, I set out a large bowl of popcorn and the M&M’s for refills. 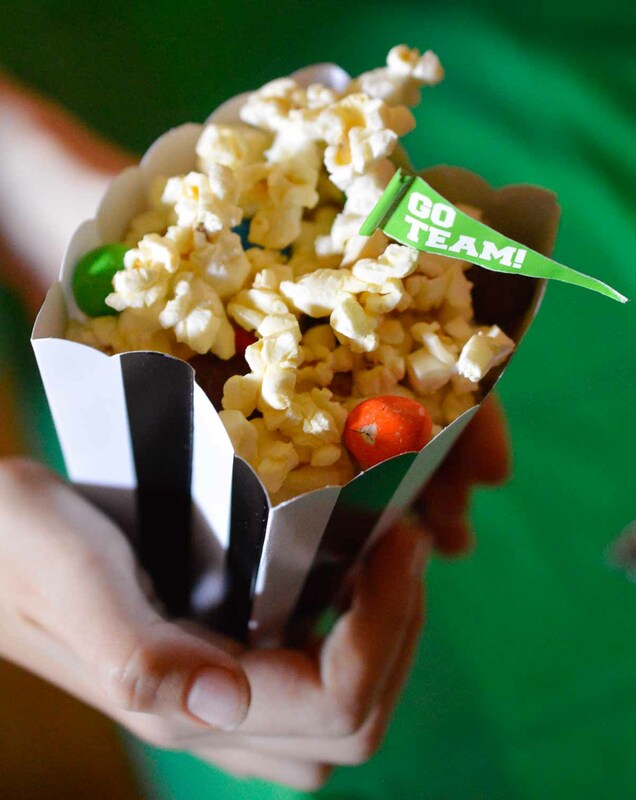 Don’t forget to grab some cheerful football themed toothpicks to give your food a little flair! Go Team! For something a little more substantial I like to make oven baked sandwiches. They are simple, delicious and perfect for serving large crowds. 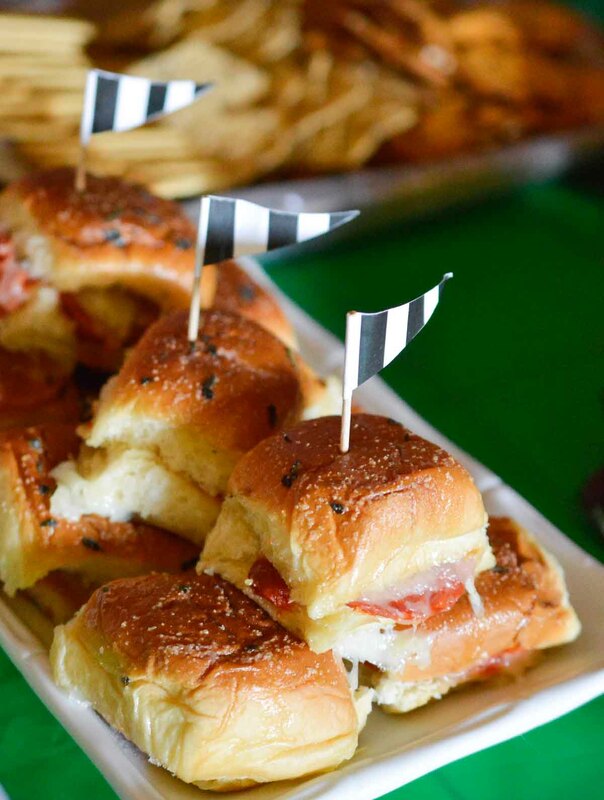 These are my Pepperoni Pizza Oven Baked Sandwiches that are always a guaranteed hit! 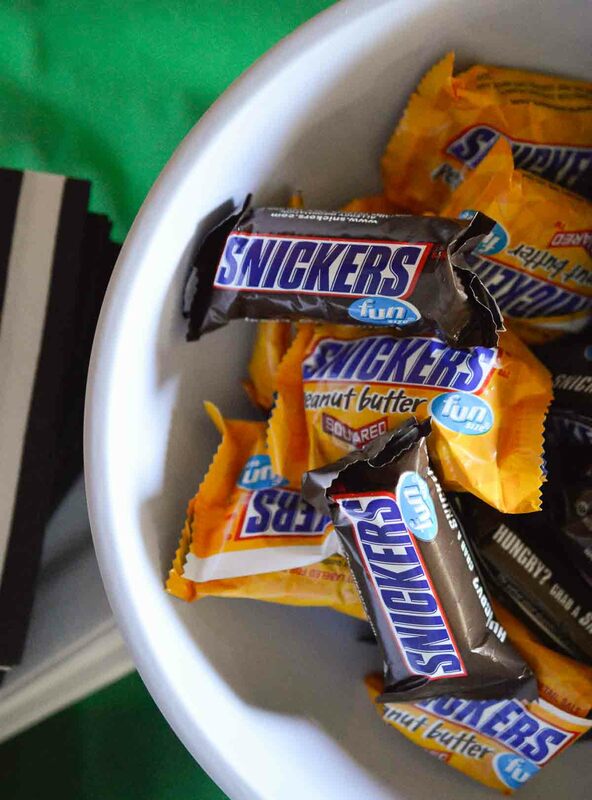 Grab a bag of Fun Sized SNICKERS for half-time sweets. And seriously, get some Peanut Butter SNICKERS . . . Yum! When planning a party, always make sure you remember to buy lots of extra napkins and plates. I like to serve food that guests eat with their hands so there is no need for silverware. Most importantly have fun with it. Don’t stress yourself out. 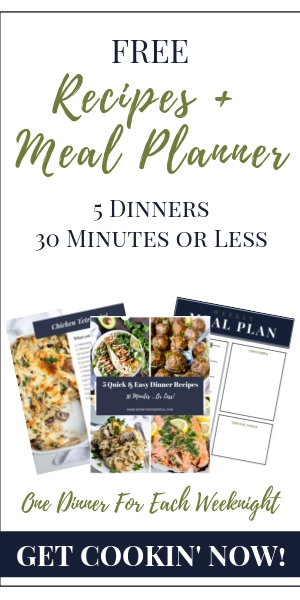 Make food that is quick and easy so you can enjoy the game too! 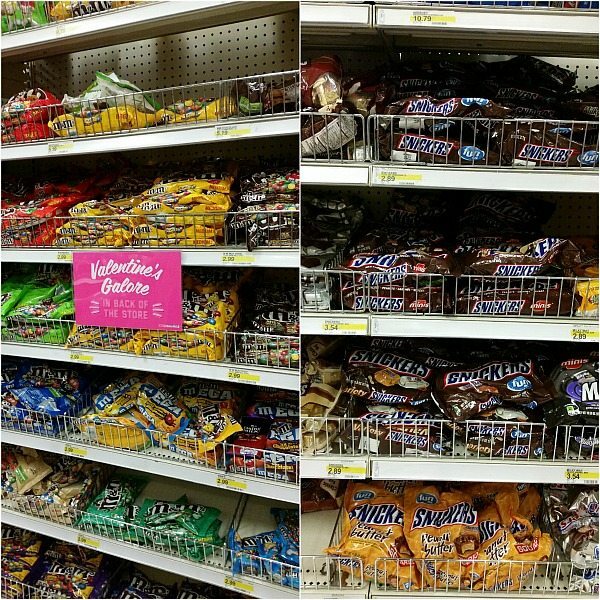 Make a trip to your local Target and find SNICKERS in the candy aisle. Oh wow, if I had this Snickers Cheese Ball in front of me I would sit through ANY game! What a creative idea, love it!